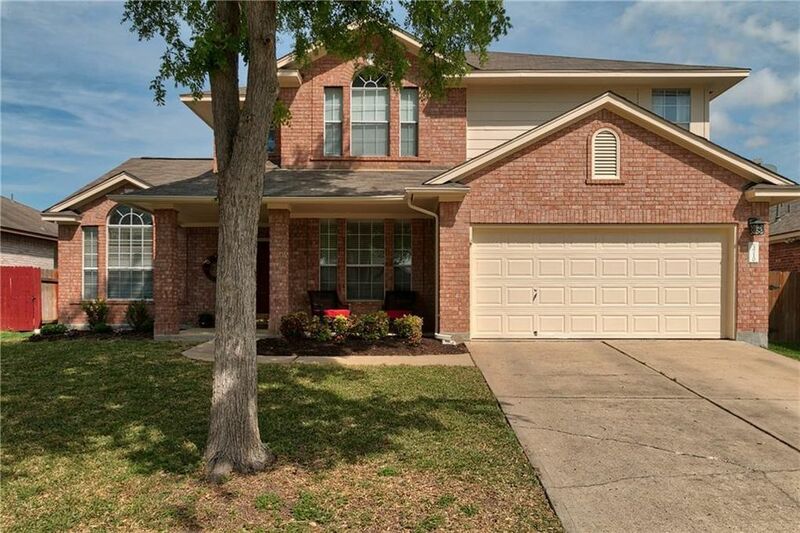 Charming & Updated Round Rock Gem! Gorgeous Hardwood Floors Open & Bright Plan 4 Bedrooms, Office, 2 Livings, Formal Dining, Breakfast Gleaming White Cabs & Granite Counters Kitchen Island Stainless Appl/5-burner Range Large Master Suite/Dble Vanity/Sep Shwr/Garden Tub Jack-n-Jil Bedrooms w/private sinks Exterior Paint 3/19 Updated Fixtures Front Porch Covered Patio Water Softener Sec Sys Blinds Grg Opener Acclaimed RRISD LOCATION! Near transportation, roadways, dining, outlet mall, shopping, entertainment!